Q. Can I manage my Bengal Card account online or from my phone? Yes, you can now manage your Bengal Card account online through the eAccounts portal, or from your phone using the eAccounts app. 2. Click Register to create an account. 3. Complete the Sign In Information section (i.e. enter your email address, choose a username, create a password). 4. Complete the Personal Information section, click Continue. 5. When the User Registration Verification message appears, confirm your information and click Continue. 6. A verification link will be sent the your email. Check your email and follow this link to complete registration. 7. On the Registration Confirmation page, enter your Email Address and click Activate to complete the activation. 8. Return to the home page and sign in with the username and password you created. 9. When the Transaction System Customer Registration window appears, enter your Banner ID number without the "B" in the Customer Number field. 10. Enter your last name in the Last/Family Name field, click Register. Now that you've created your eAccounts account, you can download the eAccounts app for your phone. 1. From your phone, search for eAccounts in the App Store or Google Play. 2. Download and install the eAccounts app on your phone. 3. 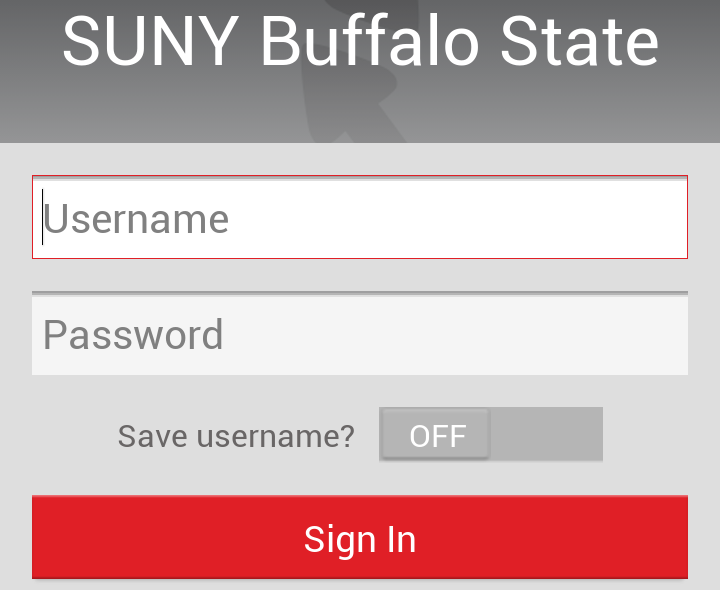 Open the eAccounts app and scroll down and tap SUNY Buffalo State. 4. Follow the link for Self Registration. 5. Sign in with your eAccounts username and password. Directions on how to make a deposit to childs bengal card from home. by Bob on Mar 13, 2019.
by Ken Fujiuchi on Mar 14, 2019.